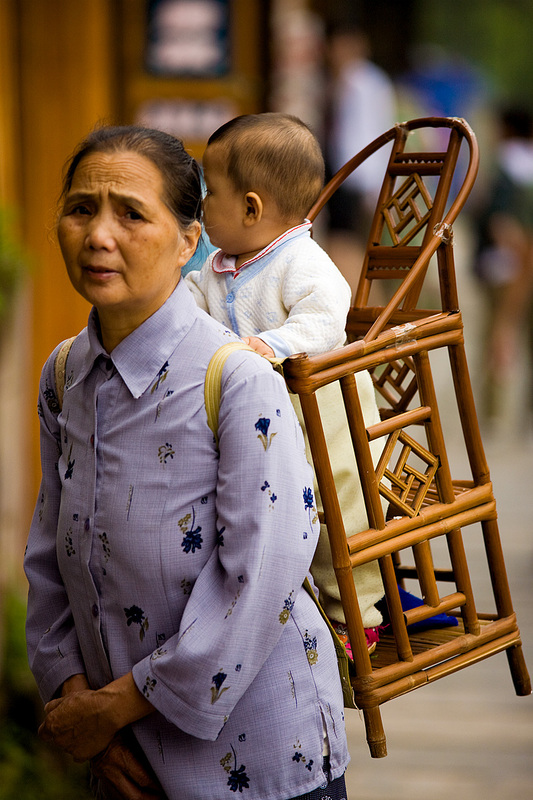 A grandmother carries a baby in a traditional wooden baby carrier. It's a backpack. It's a seat. It's a baby carrier. It's a baby pen. In the end, it's pure genius! There's even a built in chair for the little guy to rest his weary feet from a long day of cooped up standing. Judging by the taped-up joints, looks like the thing's taken a tumble or two... hopefully not while the youngster was inside. Welcome again to archived photos (on the weekends). We're taking a quick detour through China today. Stay tuned tomorrow for another set of archived photos (on the weekends). 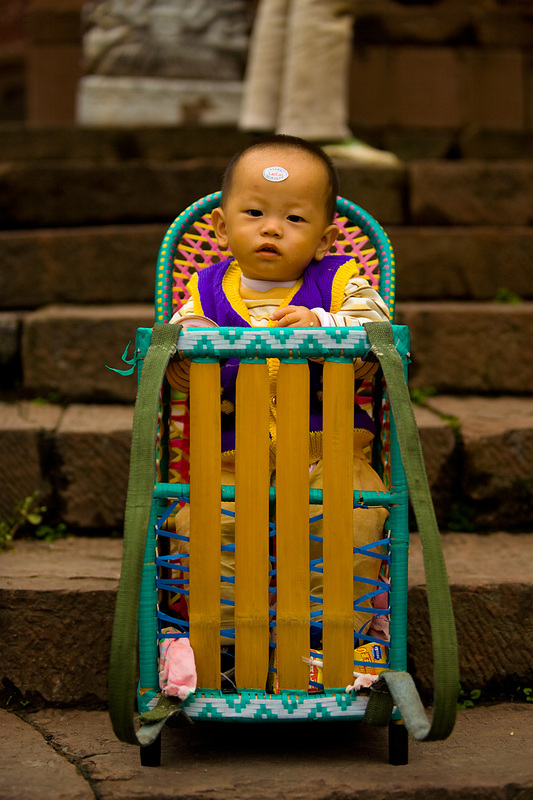 A Chinese baby is left to enjoy his baby chair & carrier. The mother and friend, just off screen, were whooping it up after they placed a LanLan sticker on the poor li'l guy's forehead. In certain parts of the developed world, you can be charged with child endangerment for pulling a stunt like this. Out of curiosity, I wonder if they make an adult-sized carrier to fit a medium-sized travel-photographer. Next time I'm in India, it may be nice to hire a strapping local lad to cart me around all day on his back while I focus my energy on photographing the environs. "As long as you can walk, you can travel" and photograph.